New Jersey's coastal beaches are subject to a legal principle, dating to ancient Rome and carried down in the common law of medieval England, of the "public trust" in which the sovereign government owns lands subject to tidal flows and that the public accordingly has the right to access the tidal waters and their shorelines. As the sovereign in its territory, the state of New Jersey owns tide-flowed (also called "riparian") lands as trustee for the public's reasonable use. Under the state Constitution, revenue from the sale of lease of tide-flowed property by the state is dedicated to support of the public schools. For much of the state's history, coastal municipalities acted with wide discretion in controlling access to beaches and setting rules for their use. 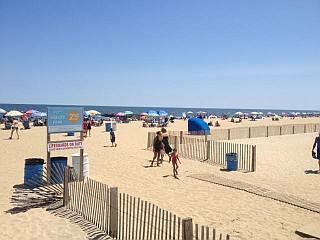 A law enacted in 1955 authorized New Jersey municipalities bordering the Atlantic Ocean, tidal water bays or rivers to charge a fee to beachgoers in order to help pay for associated maintenance and safety costs. Over the last few decades however, court decisions have increasingly limited the freedom of local governments in managing access to their beaches. 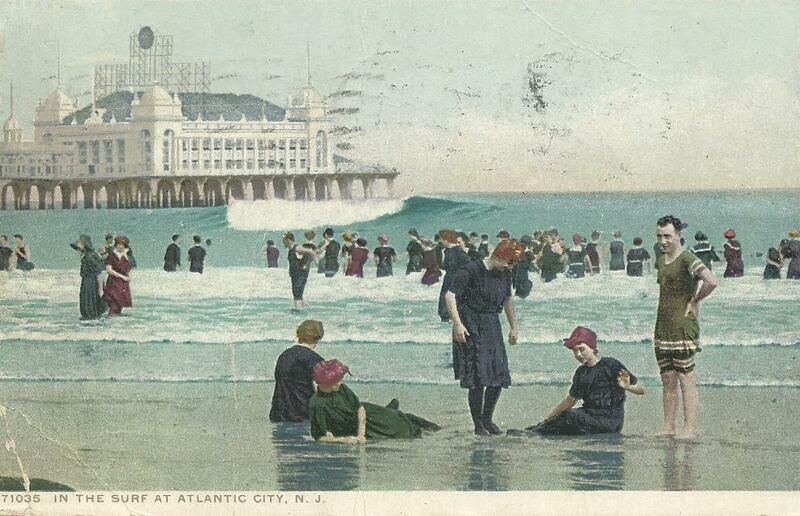 In 1972, the New Jersey Supreme Court held that a municipality could not charge higher fees to non-residents than to residents for use of its municipal beaches, Borough of Neptune City v. Borough of Avon-by-the-Sea, 61 N.J. 296 (1972), and a few years later also ruled that a municipality could not set aside part of a public beach for exclusive use by residents. Van Ness v. Borough of Deal, 78 N.J. 174 (1978). In 1984, the Court also extended the public trust obligation to a private association established by beachfront homeowners, concluding that it acted in a "quasi-public" capacity in attempting to restrict beach access only to association members and accordingly violated the right of the general public to gain access. Matthews v. Bay Head Improvement Association, 95 N.J. 306 (1984). 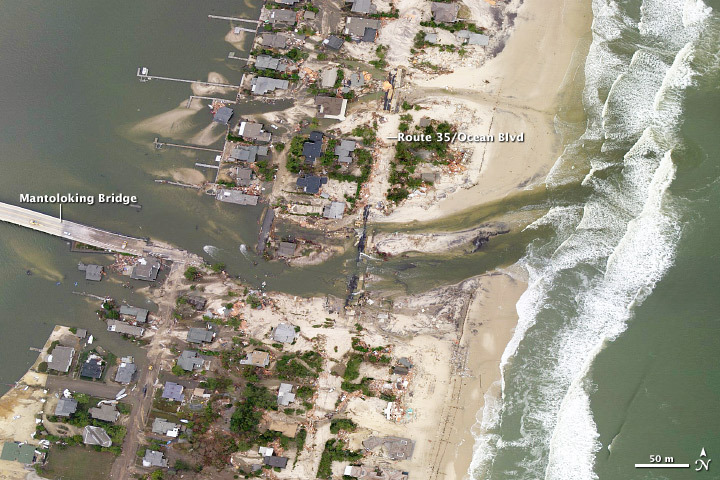 More recently, legal disputes have arisen over the state's efforts to acquire through eminent domain coastal property to build dunes and other shore protection measures, particularly after the massive damage caused by tidal surges during Superstorm Sandy in October 2012. The Department of Environmental Protection is the primary state agency with jurisdiction over coastal resources under authority provided it by the federal Coastal Zone Management Act of 1970 and a series of state laws, commencing in 1914 with the Waterfront Development Law and followed by the Wetlands Act of 1970 and the Coastal Area Facility Review Act of 1973. Pursuant to its statutory authority, the DEP has issued a series of regulations, including those relating to public access, designated as its Coastal Zone Management Rules, with revisions currently under review in the fall of 2016. The DEP also requires public access to the shore and tidal waterways under its Coastal Permit Program for private development and use.